Taking a gap year can be beneficial for a number of reasons, but if you want to get the most from your travel experience, then you’re going to need to know where to start. That has never been easier, and with the popularity of the gap year trend continuing to grow, there are now a vast number of resources available that can make your gap year the dream experience that you’re hoping for. Whether you’re in the initial stages of planning or you’re already packing your suitcase, before you set off you might want to check out these tips for finding the best tools to compliment your travel plans. A gap year isn’t quite the same as a holiday, even if it sometimes feels like one. For holidaymakers, the biggest piece of advice that they receive is always to disconnect and turn their phones off, but for the gap year traveller, that can be a mistake. Your phone offers a lot of potential when it comes to making the most of your gap year, and checking out some of the many useful apps might just transform your experience. Using translation apps to make it easier to communicate with anyone in the world, or text alerts to find the latest deals can make your plans run considerably smoother, so it’s always worth keeping your phone close to hand and fully charged. This isn’t about finding that local bakery, but more about using the services of your destination country to make sure that you are getting the best travel deals possible. As much as we can search online all day for low prices and the best perks, nothing beats local knowledge, which is why it’s a great idea to use resources in the country of origin. So instead of searching for hotels, look rather at hoteles, and you may be more than a little surprised by the advantages of local experience and wisdom. It’s all too easy to dismiss the benefits of traditional resources in the modern age, but these services thrive because they know the area and know those local quirks that could make the difference between trying to sleep during the local festival or attempting to travel during a national holiday. Plus, you might get the benefits of local prices too, and that’s always a bonus. 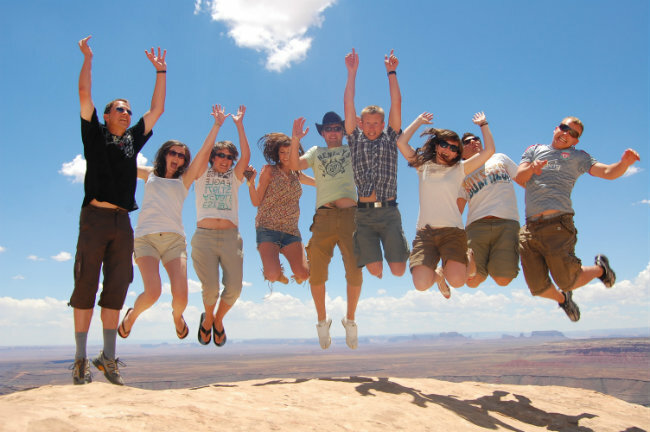 If you want to make the most of your gap year, then you are going to need to prepare. Although you don’t want to put too much limitation on your freedom to explore, having a plan in place can help to guide you to where you need to go and when you need to get there. If you’ve arranged work experience while on your gap year, then you need to ensure that you show up at the right time and on the right day! Plan your routes and travel arrangements in advance, and although you should always allow for a little fluidity in your gap year plans, don’t let missing a connection lead to a loss of a life-changing experience. A gap year can work wonders in your life, from the future of your career to simply a new way of looking at the world. Taking the time to prepare will ensure that you get the most from your travel adventures. It would be a lot of fun to to take a gap year and travel. It is always a good idea to look for travel deals. The concept is interesting. As long as the kid is doing something productive, not just avoiding college or work, gap years might be a nice idea. One thing you really need is MONEY! If I had had the wherewithal when i was young I would have taken a year of travel before college! When you are lost in life it’s always wise to take a gap year. I never regret taking a few years off myself.